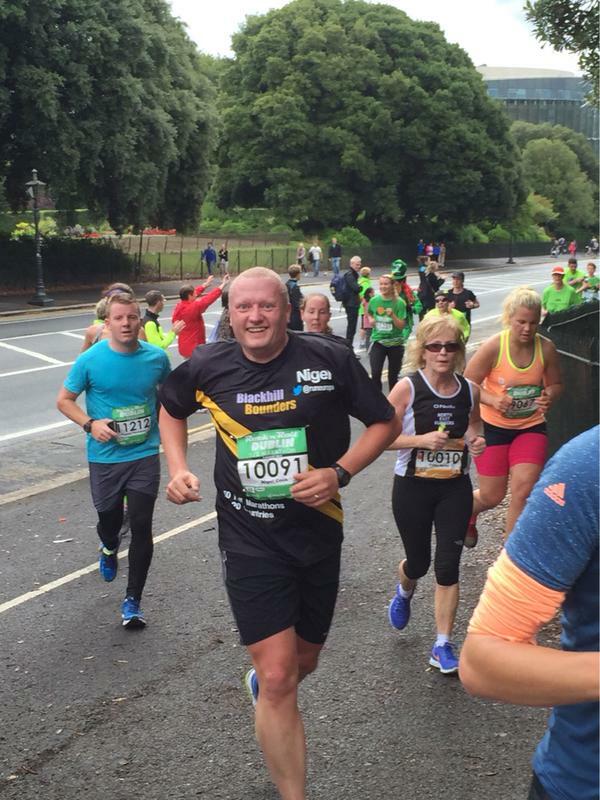 Dublin Rock and Roll Half Marathon – 2nd August 2015 | Blackhill Bounders Running Club. 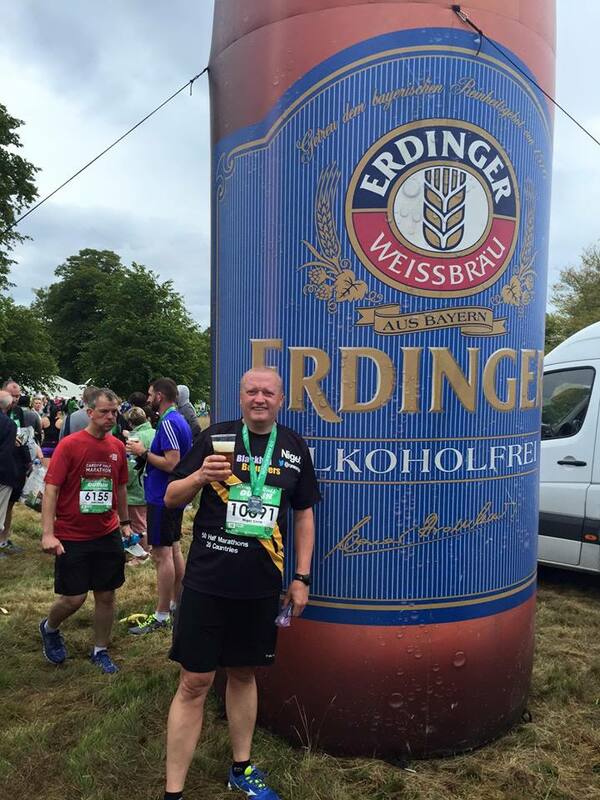 Nigel has set himself the challenge to run 50 Half Marathons before his 50th Birthday, including one in every country in Western Europe. He also runs in aid of Willowburn Hospice. A brief 36 hours in Dublin for the Dublin Rock and Roll Half Marathon. The Rock and Roll races are a series of races, mainly in America, but a few further a field, Dublin been one. After a really warm Saturday registering and looking around the city (including some Carb loading in a Temple Bar Pub), it was an early night before a 6am alarm. 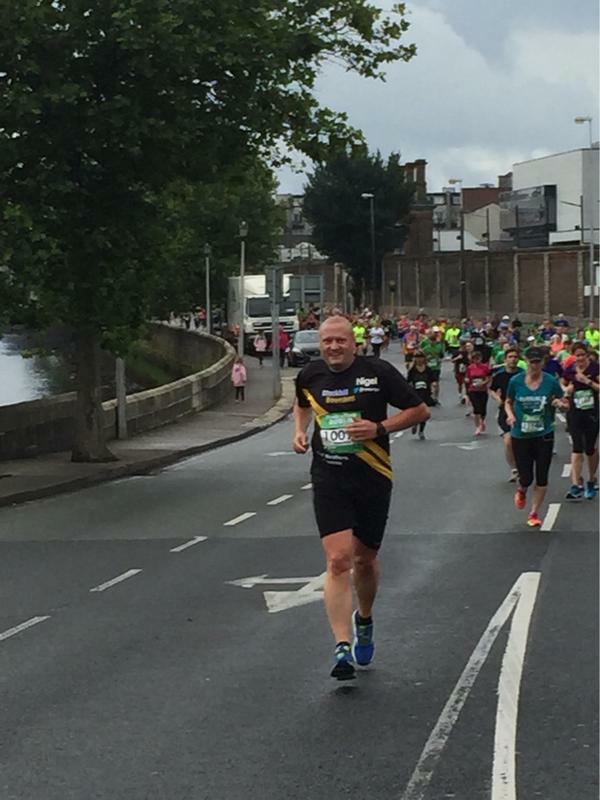 The start was on the North bank of the Liffey towards the East of the city. The race had competitors from all around the world (42 countries I recall) and with cool slightly damp weather it was ideal running weather. The first 3 miles followed the river, crossing it part way to the South side before heading passed the Guinness Factory at 3 miles. It then headed briefly towards the city centre with the addition of a small hill before heading West again. Mile 3 to 8 were through some residential and industrial areas of the city before entering Pheonix Park, the biggest walled park in Europe. The first mile of the park was uphill followed by a narrow path (possibly the only criticism of the route, as the volume of runners made it difficult to make up any ground). The route then followed the wider roads of the park undulating up and down until reaching the finish. Live bands played throughout the route at approximately mile intervals to keep everyone motivated. It was not a race that saw many spectators, but those who did come and watch were very supportive. This was a shame as it was a route that allowed for seeing runners at multiple times quite easily (Mrs C, managed to see me at 3, 8 and the finish). I managed to keep a steady pace, covering every mile in under 10 minutes, except mile 13 which was a done in 10:16 (one hill too many). My Garmin clocked up the half marathon in around 2:09, however the official time was 2:11 due to my route covering 13.3 miles. This may be due to a brief toilet stop at around 2.5 miles. There was even free beer at the end, although it turned out to be alcohol free. The Rock and Roll Half Marathon also provides the biggest bling of a medal you are likely to receive, which did manage to get the attention of the customs at Dublin Airport on the way home. 36 Half Marathons completed, only 14 to go. Next stop Stockholm in September….